Science a seven letter word which means an attempt to explain the world around us. Depending on the phenomenon one is studying and trying to explain, science is divided into Physics, Chemistry and Biology.In fact everything we do is based on this study of the world. In the real world most people don’t necessarily know the science behind their daily activities. 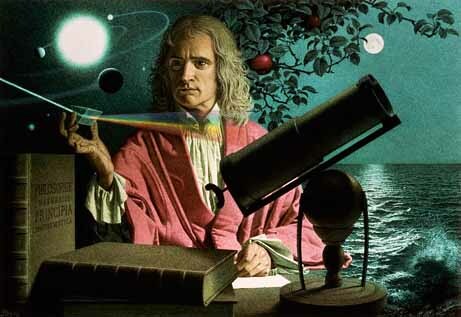 Before Newton people experienced gravity throughout their day, but no one conducted experiments to determine equations to calculate the behavior of bodies under the effect of gravity. In the same way, most of us are unaware about the great advancements in science which lead to exceptional inventions. The study of science instills in us a greater sense of curiosity and a desire to understand the working of the world around us. It is this desire that advances science everyday with theories explaining phenomenon on a quantum level. Each of us can be satisfied with the explanation of us being able to see objects with different colours because the object absorbs all the other colours or one could dive deeper and learn about the different electronic configurations in orbitals that caused us to see the reflection of certain colours. One doesn’t need to know how the brain sends signals to the different parts of the body but this knowledge helps us truly appreciate the working of the human body.When we take a minute to look around us we notice how science is all around us and indeed a reflection of reality.